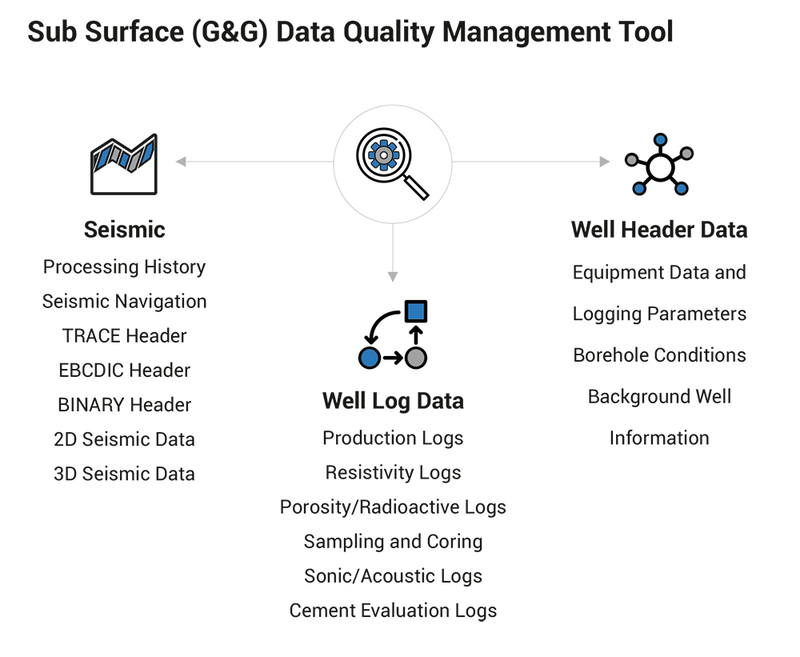 GeoProQuiK is LTI’s proprietary Sub Surface (geological & geophysical) Data Quality Management Solution, which consists of various data quality check (QC) tools, templates, scripts and business rules catalogs. The solution helps Exploration & Production (E&P) companies in standardizing and streamlining quality check processes, workflows, and governance of Well and Seismic data sets, using effective business rules and advanced analytics. The solution helps clients in reduction of User Data Search (50%) through Data Foundation, via a one-stop shop for company validated data; reduction in uncertainty of interpretation through clear, concise, correct data information within timelines; improved efficiency of data usage by ensuring transfer of data to various petro-technical applications and multiple databases relevant to its business applicability; reduction in Time To Resolve (TTR); and improved First Time Resolution (FTR) request count; all this with the help of an expert support team.